Why is “it” so hard?! Breaking old habits is hard. Creating new habits is hard. Trusting your (tired) gut is hard. Sticking to a plan is hard. Yes. I agree 100% with all of these phrases. Trust me. I am half way through my first official Whole30 Challenge, and I can speak from experience that breaking old habits, creating new habits, trusting your gut and sticking to a plan is challenging. Especially when wine, cheese and chocolate are on the line. It may seem crazy to compare my January 2019 “lifestyle change” to your sleep struggles, but in all reality, they have a lot in common. It is hard to be successful at something that requires change because we are creatures of habit. We fear what may come if we try to change. And we worry about being unsuccessful. For exhausted human beings (especially those in charge of tiny ones), it is incredibly difficult to make a plan, follow through on a plan, alter a plan when needed and see success from a plan. This is why people hire personal trainers to support their new “plans” at the gym. This is also why people convince friends and family to join them in their “wine free week”. We need accountability and support. My two biggest pieces of advice to be successful in making changes to your sleep situation through sleep training (no matter the age of your little one) are to stick with a plan and get yourself a buddy. Whether you are sleep training on your own, or hiring a consultant to work with, BE SURE THAT YOU ARE CONSISTENT. You owe it to yourself and your kiddo to send a consistent message. When we get confused or waiver in our expectations, confusion results and protest increases! Next, get yourself a buddy to hold yourself accountable. Maybe you have a friend or neighbor who has successfully sleep trained, maybe your mom is willing to come over for a few nights to help you, or maybe you need a support coach. No matter who is helping you, “find somebody to leeeean on”. For the first year and half of my business, I conducted my support packages through sleep logs, email and scheduled phone calls. My clients were had success with sleep training because of the emails with me and the time spent together on the phone. They leaned on me through the tricky nights and long days of “crap naps”. We celebrated when their baby slept through the night for the first time or was able to nap without being rocked to sleep. But then I started to crave more out of the client relationship I had. 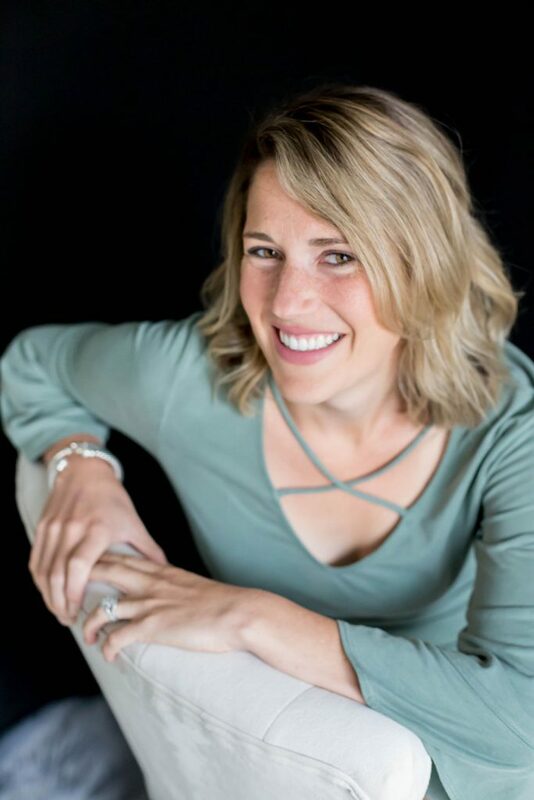 I wanted to connect more regularly with clients, I had a desire to be even more available to promote consistency and success. I wanted to alter the way I was supporting clients, so I made the change. I added even more support to my clients’ options. I now include a walkie-talkie app called Voxer with all packages. Because guess what? Sometimes you have a quick question that doesn’t require a 20 minute call with me, and sometimes you need support RIGHT THEN and you don’t want to wait until my calendar has an opening for a formal check-in call. So, Vox me. And as I’m unloading the dishwasher or posting my latest success story on IG, I will Vox you back. We will connect. And you will see even more success with sleep training. I will teach you, hold your hand, troubleshoot with you, celebrate the big moments and recognize the little ones. I will be YOUR accountability partner. For yourself or your littles. 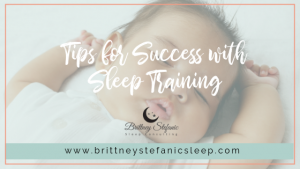 I want to connect with you in 2019 so that together we can experience success when sleep training, and no one can stop a mama on a mission! So… What do ya say? Contact me so we can team up and tackle your sleep struggles together!